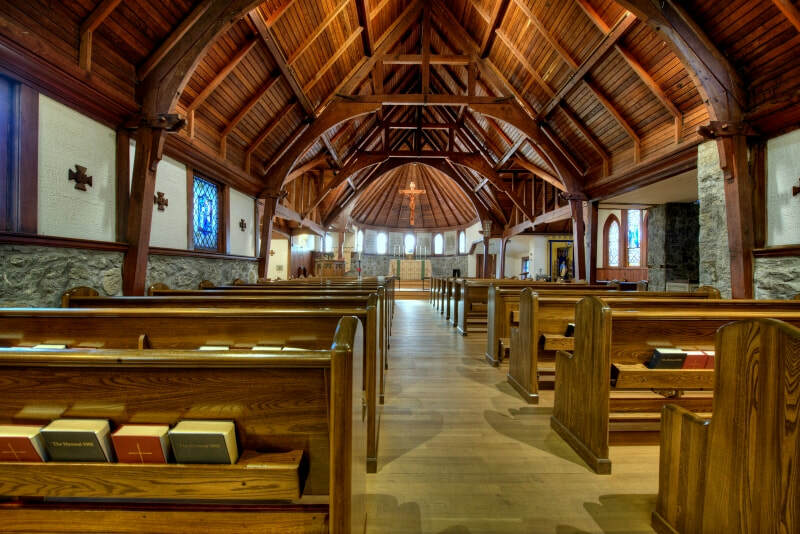 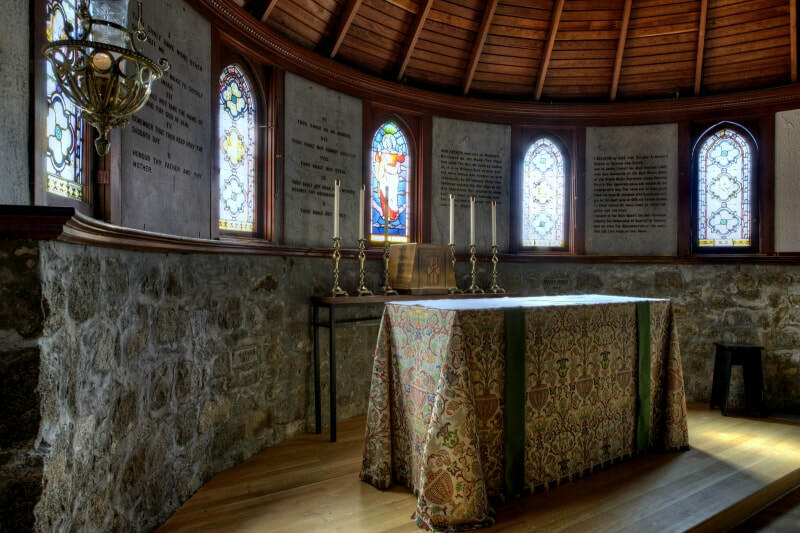 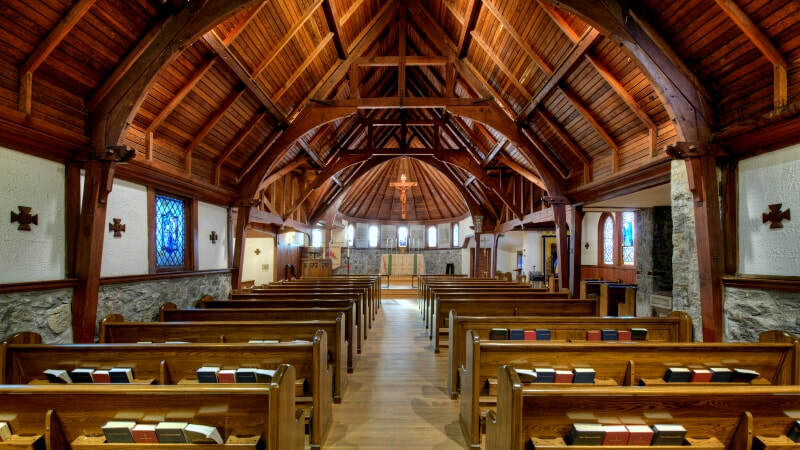 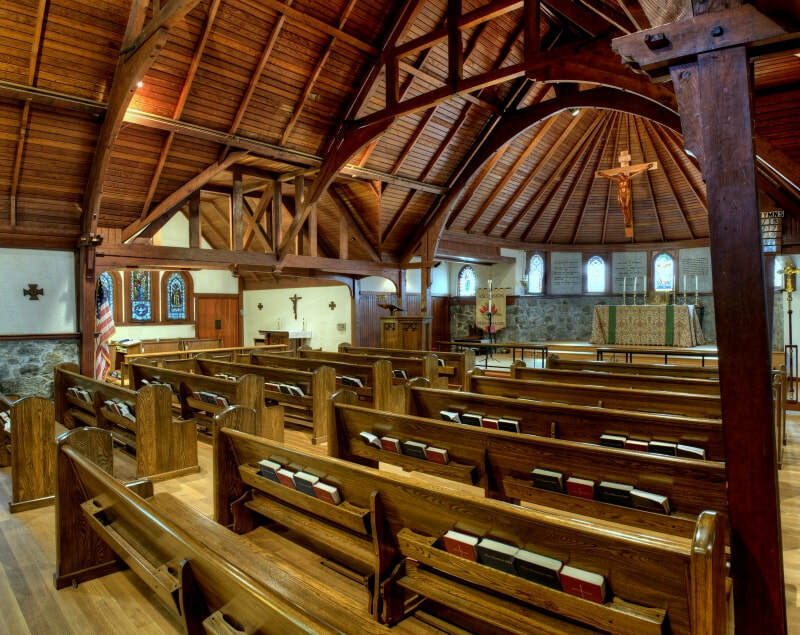 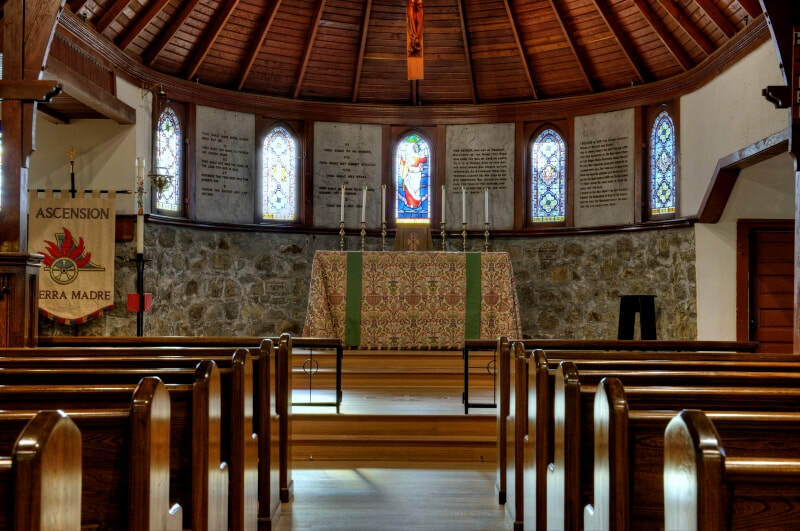 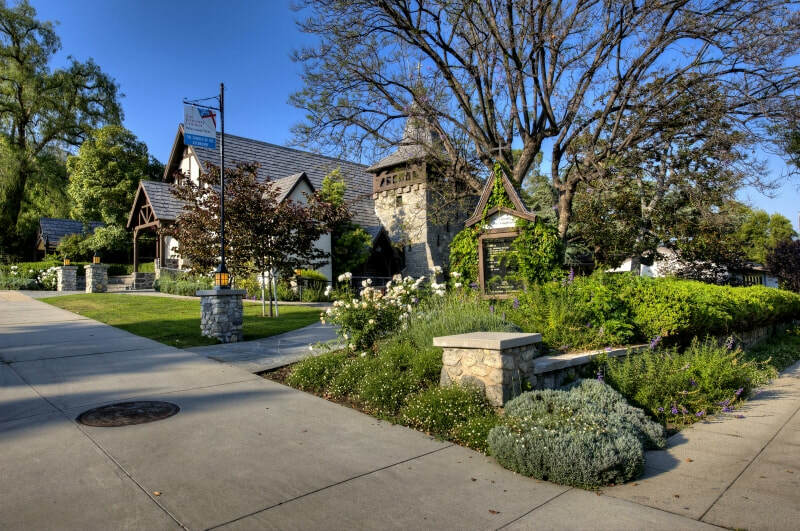 Church of the Ascension makes its historic and beautiful buildings and grounds available for rental for a wide variety of functions. 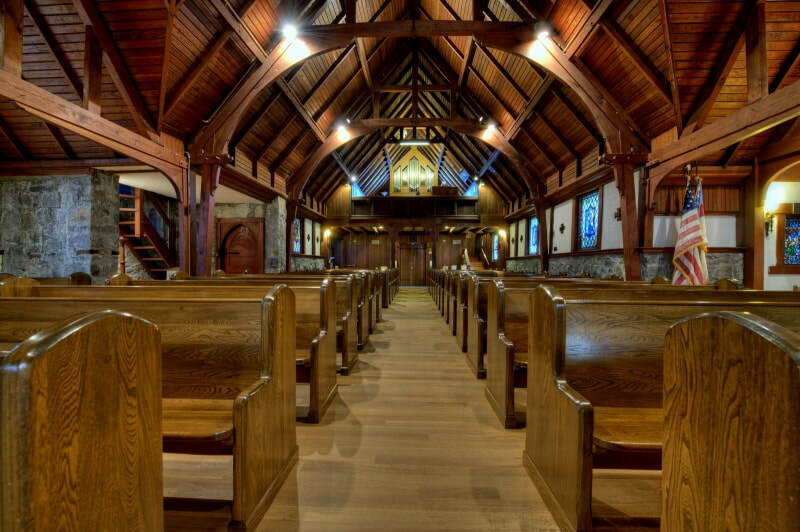 The parish hall (Hawks Hall), may be rented for events such as birthday and anniversary parties, and music recitals as room capacity permits. 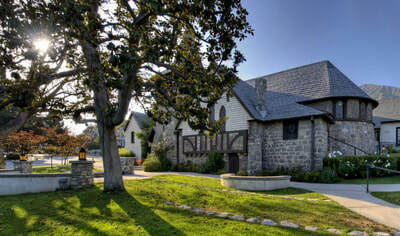 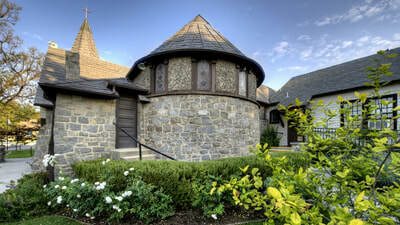 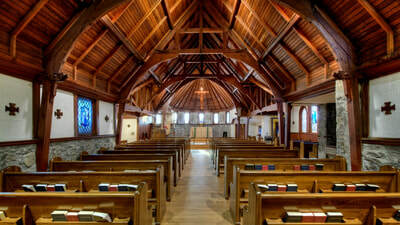 Church of the Ascension buildings and grounds are also available for commercial filming engagements. Scenes from a number of movies and tv shows (such as the 1980 classic movie, "The Fog") have been filmed on site over the last several decades. 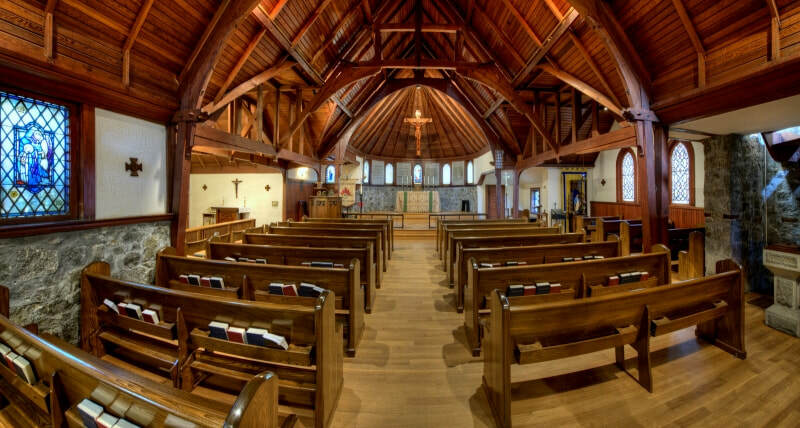 Built in the late 1800’s, the church is of stone construction; its charming chapel (sanctuary) has a seating capacity of 210. 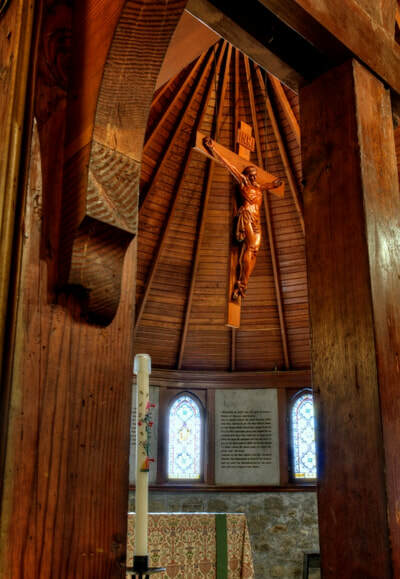 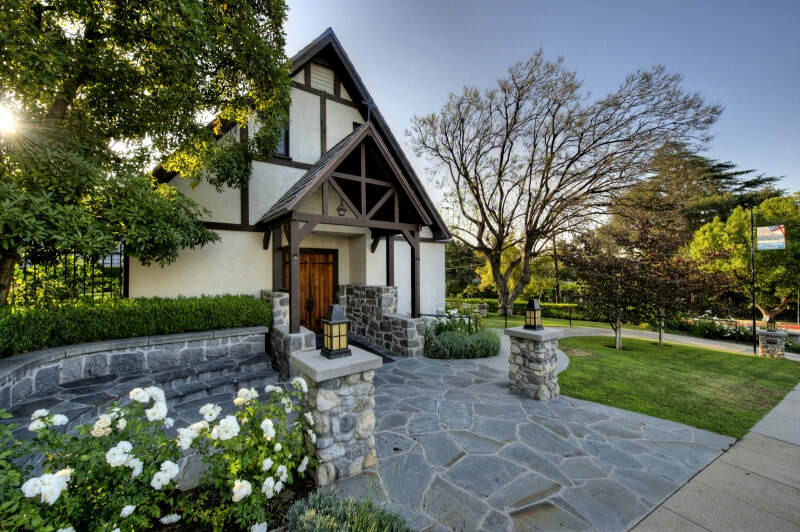 Designed by noted architect Ernest Coxhead and listed on the National Register of Historic Places, the Sierra Madre church is just a short drive from downtown Los Angeles and offers easy freeway access. 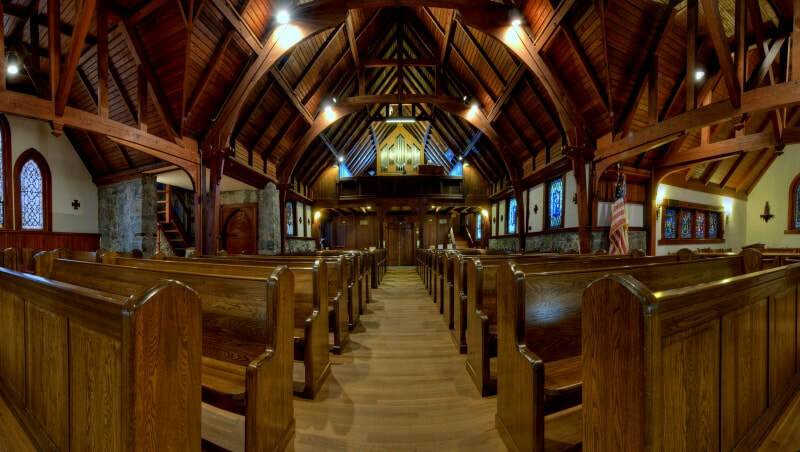 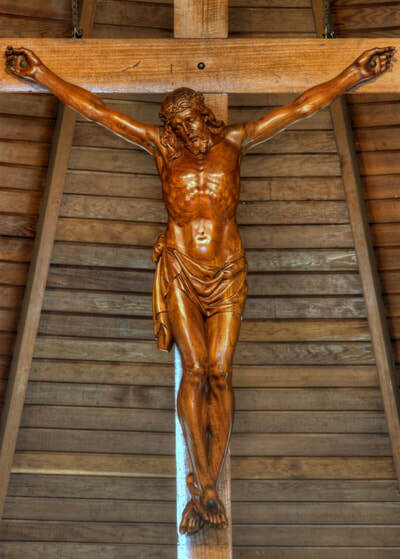 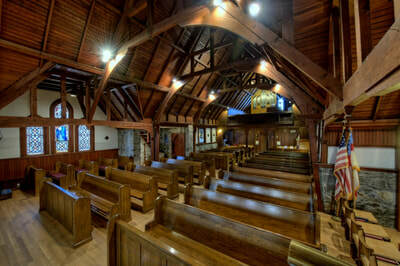 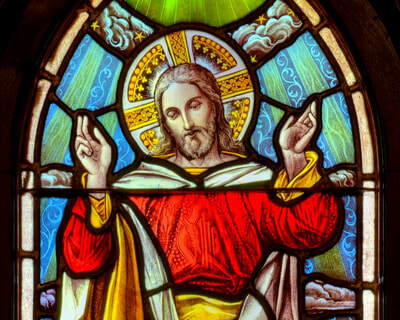 The church has exquisite stained glass windows and beautiful carved wood detail. Available facilities include the church interior, bell tower, parish hall, kitchen, basement, exterior gardens, playground, and parish house. Filming fees vary depending on space requirements and project duration. 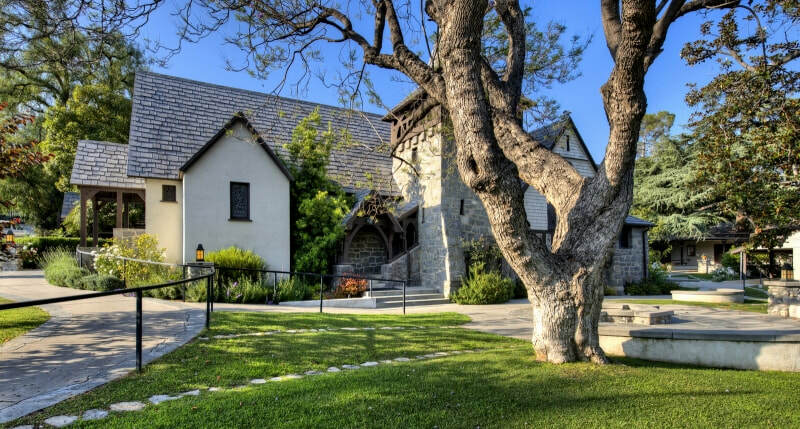 For more information on commercial filming, please contact Tracy Alderson at (626) 487-8033.